Adam Bergman, a partner with the IRA Financial Group, the leading provider of “checkbook control” self-directed IRA LLC and Solo 401(k) plan solutions, appeared on the Real Estate Matters radio show, hosted by Chuck Insalaco, on November 1, 2017 to discuss the Trump tax plan and the impact on real estate investors. Mr. Bergman talked about the potential positive impact the reduction in the passthrough tax rate can have on real estate investors who typically use passthrough entities to make real estate investments. Mr. Bergman also discussed how the proposal to reduce the pre-tax 401(k) plan contribution limits can help introduce real estate investors to the power of the Roth. “The trump tax plan could have some interesting opportunities for real estate investors, especially the passthrough income tax cut,” stated Adam Bergman, a partner with the IRA Financial Group. IRA Financial Group’s Self-Directed IRA LLC for real estate investors, also called a real estate IRA with checkbook control or a Self-Directed real estate IRA, is an IRS approved structure that allows one to use their retirement funds to make real estate and other investments tax-free and without custodian consent. The Self-Directed IRA LLC involves the establishment of a limited liability company (“LLC”) that is owned by the IRA (care of the Roth IRA custodian) and managed by the IRA holder or any third-party. As a result, the Self-Directed IRA LLC provides the retirement account holder with greater control over his or her retirement assets allowing the individual to make traditional as well as non-traditional investments, such as real estate tax-deferred and with much lower annual fees. 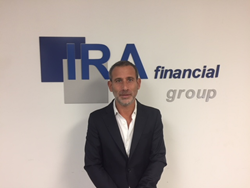 The IRA Financial Group was founded by a group of top law firm tax and ERISA lawyers who have worked at some of the largest law firms in the United States, such as White & Case LLP, Dewey & LeBoeuf LLP, and Thelen LLP. IRA Financial Group proudly announces the latest book titled “The Checkbook IRA” written by tax partner Adam Bergman, which is now available on Amazon. Mr. Bergman has written six books on the taxation of self-directed retirement plans including, the best selling book,“Going Solo,” which is also available on Amazon. IRA Financial Group is the market's leading provider of self-directed IRA LLC and Solo 401(k) plans. IRA Financial Group has helped thousands of clients take back control over their retirement funds while gaining the ability to invest in almost any type of investment, including real estate without custodian consent.